This hike is world famous for a reason! 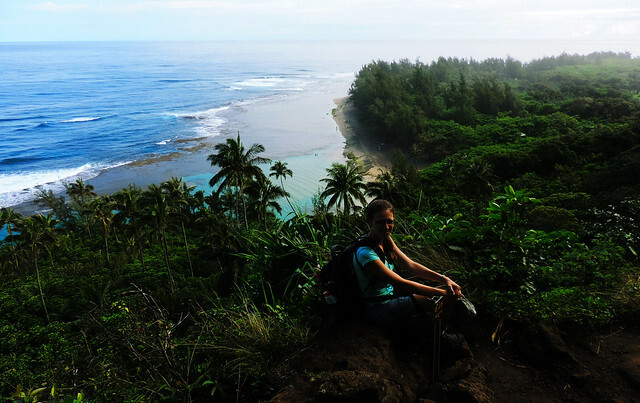 We hiked in different parts of Kauai during the 10 days of our stay. 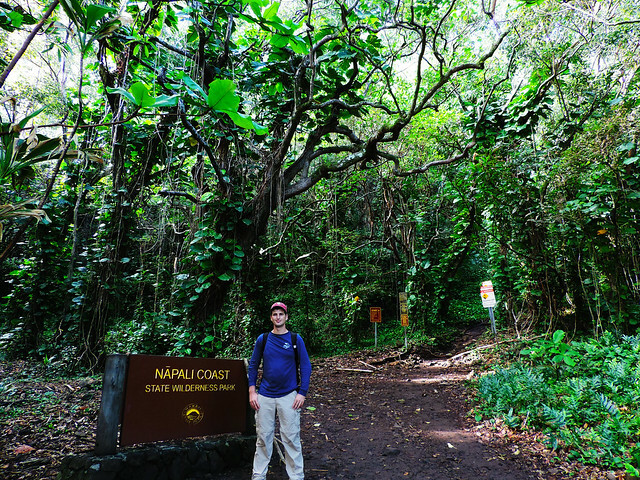 Though it’s hard to decide which hike is our favorite, it’s still obvious: Kalalau Trail along Na Pali Coast. Because of Na Pali Coast! On this trail there are not only special vista points, beaches or waterfalls to enchant you, but almost every step will take your breath away. 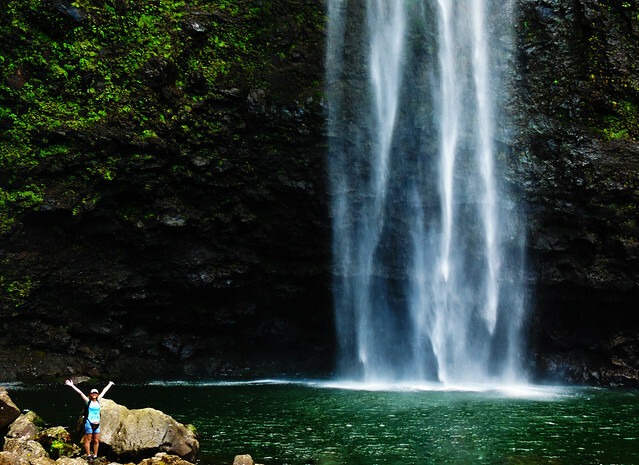 Na Pali Coast with its towering sea cliffs, narrow valleys, turquoise bays and enormous waterfalls is probably among the most beautiful coastlines in the whole world. Every step of this hike will remind you of this fact. 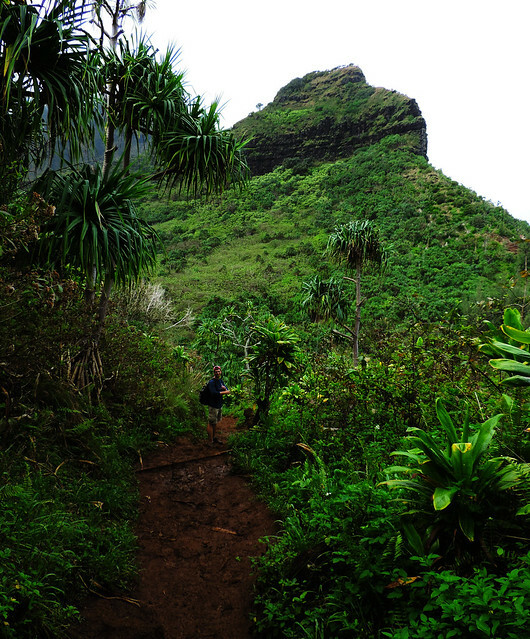 Because of its unique beauties, Kalalau Trail is the most popular in Kauai. It’s a truly busy trail, you can expect to be always surrounded by other hikers. At least, it’s very hard to get lost. Day hike? It could be! Hiking Kalalau Trail all the way requires multiple days, we only did a one day section of it. 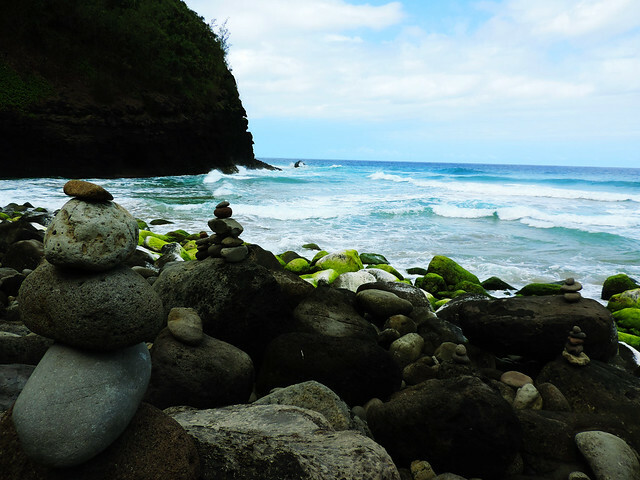 It starts at Ke’e Beach and the first 2 miles of the hike is along the coastline on Kalalau Trail. Then we reached Hanakapi’ai Beach and headed into the valley on Hanakapi’ai Trail. 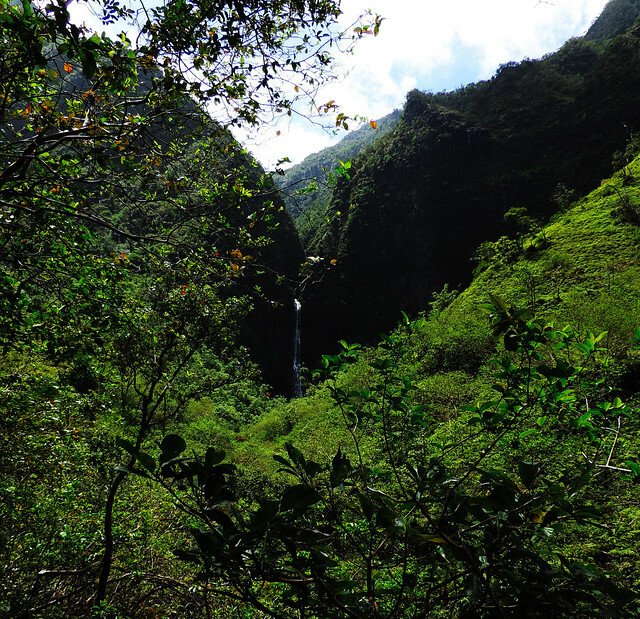 After another 2 miles we reached our final destination: the enormous Hanakapi’ai Falls (300 feet/91 m). Altogether this 8 miles took us 8 hours, but we spent an hour enjoying Hanakapi’ai Beach and another hour at Hanakapi’ai Falls. Hanakapi’ai Beach is usually dangerous to swim so you better just admire its beauty, but you can swim in the pool of Hanakapi’ai Falls if you want – I warn you, it’s damn cold. 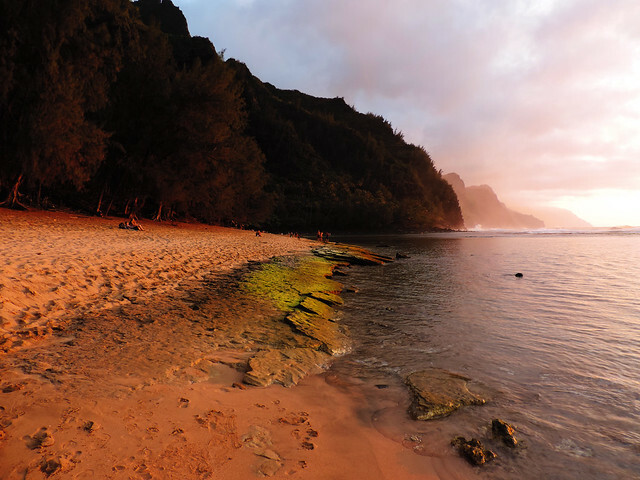 However Ke’e Beach at the trailhead is an ideal place to swim – we did it after the hike and we were also rewarded with a beautiful sunset view of Na Pali’s huge cliffs. Expect to be muddy if you decide to do this hike. If you are already prepared that you will be dirty from head to toe there’s nothing to worry about, you can actually enjoy the mud. Which is the most special hike you’ve done in your life so far? It’s a very unique mixture of a tropical beach dream and a jungle hike! One of our favorite hikes in the world (not that we’ve seen enough yet, haha) and our pics make us want to go back, too! Thanks so much, Lacee! We really appreciate your feedback. Have a fabulous trip!